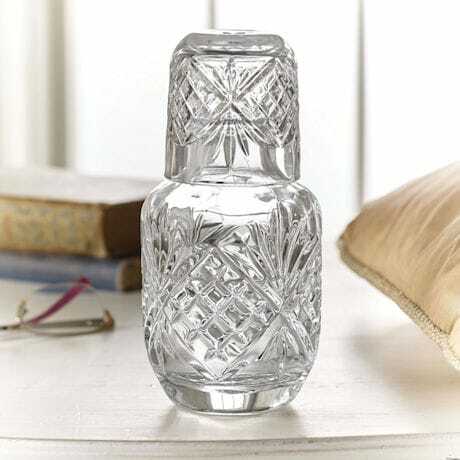 Elegant and useful by your bedside, so thoughtful in a guest room. 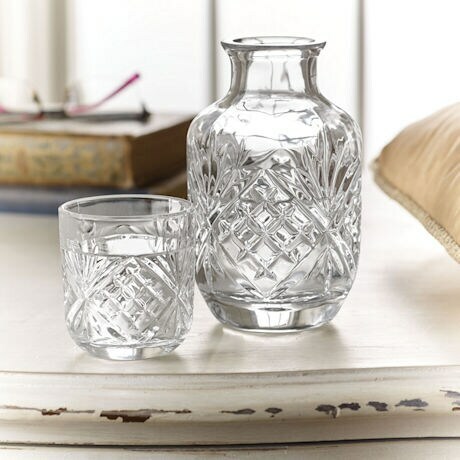 Cut crystal carafe holds 16 oz. Tumbler rests upside-down on top, keeping water clean until needed. 7 ½" high. Dishwasher safe.